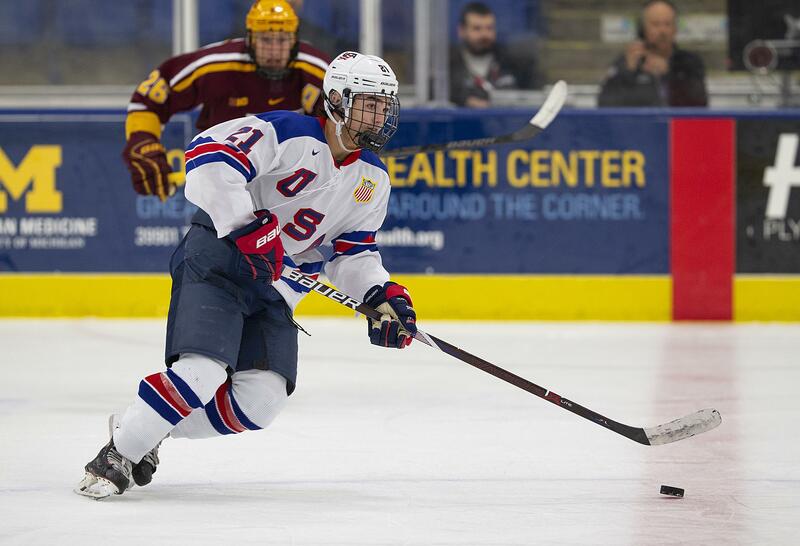 It was a very special moment for USA Hockey's National Team Development Program Under-18 forward Sean Farrell as the clock ticked off the final seconds in the team’s 6-3 win over Harvard University. He will always remember not only the result, but also the setting, on his future home ice at the Bright Hockey Center. One of his favorite moments was walking upstairs after the game and seeing so many familiar faces from back home that made up his cheering section. He even had an opportunity to talk to the Harvard coaching staff and a few players after the game. At the end of the day, picking Harvard to continue his hockey career was a really easy decision for him. It also helps the campus is really close to his hometown. “It’s about 30-40 minutes from campus but it all depends on traffic going into the city, so it can definitely take longer,” Farrell said. Winning the league championship with the Minuteman Flames for the last time because we played together for eight years. What Celebrity Would You Carpool Karaoke With? Before he sets foot on campus next fall, Farrell is focused on finishing his U18 season strong. 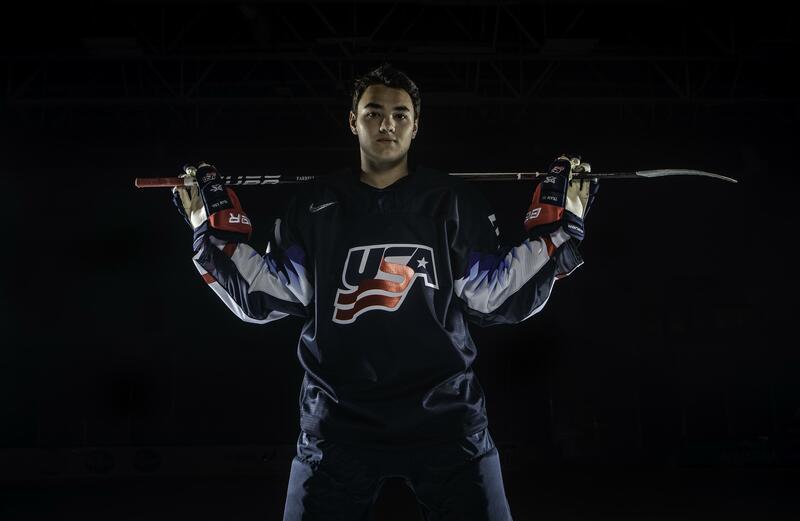 The 5-foot-9, 174-pound forward has already noticed a big difference on the ice after his Under-17 season. He has tallied three goals and 11 points this season after scoring nine goals and 40 points in 61 games last season. He credits his training, both from May and over the summer as a big reason for his early season success. Plus, he was able to get extra motivation by working with two of his current teammates. We are bigger, stronger and faster which allows us to showcase our skills against the USHL. I added at least five pounds of muscle to my frame. Farrell and his U18 teammates are gearing up for their first international tournament — the Five Nations in the Czech Republic. The round-robin event, which runs from Nov. 7-10, also features the top U18 players from the Czech Republic, Finland, Sweden and Switzerland. Farrell understands there is a simple formula for the team to have success in this first international test. “We have to stick to our game plan that Coach Wrobo [U18 Head Coach John Wroblewski] wants us to do,” he said. “We need to play fast and hard and we should be able to wear teams down and have some success there. One area that he believes will help the team at the Five Nations will be the games the U18s have played against the college teams to date. He knows how that success on the ice translates into his play. One thing will never change for Farrell: how special it has been to suit up for Team USA and wear the colors of his country. “It’s an honor to wear the jersey,” Farrell said. “It’s real special to wear it every day, even in practice. It really means more wearing it and hearing the national anthem. I really take pride in having that jersey on.